Fraser Cain of Universe Today is now the organizer for the Carnival of Space. Go here for update-to-date details. Three weeks ago I attended Space Access ‘07. It was the first time I had ever gone to a conference on space. It was a blast. I blogged extensively on the conference. My couple dozen posts came to over 40 pages on the various talks. My wife and I have been running the Carnival of Homeschooling for over a year now. Naturally I went looking for a Carnival of Space. I thought it would be nice to submit my Space Access ’07 introduction post to a carnival about space. I couldn’t find one. I asked the other bloggers (Transterrestrial Musings, Space Politics, Selenian Boondocks, and HobbySpace) at Space Access ‘07, they didn’t know of a Carnival of Space. I then tried to talk several bloggers who focus on space into organizing a Carnival of Space. Many said it seemed like a good idea, but that they were too busy. After a week of pondering I’ve decided to kick off the Carnival of Space. The plan is for the carnival to come out weekly. The first edition will be posted here at Why Homeschooling on the 26th of April. Here are the instructions for submitting a post to the Carnival of Space. Space Feeds is a permanent, continuously-updated Carnival of Space. Space Feeds is a great service. 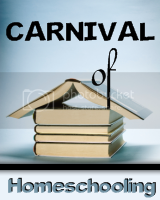 It isn't a blog carnival in the traditional sense of blog carnivals. Thank you for mentioning Space Feeds. I suggested this idea to Brian, and I'm glad it's getting traction! I'll definately contribute and link to it! Henry, I'm glad you like Space Feeds - I'm pretty proud of it myself. When the Carnival does go up, do you mind if I mirror it on Space Feeds? tjic - thanks for help in promoting the carnival. ed - I assume by mirroing you are proposal to copy the whole carnival onto your blog. Is this what you are asking? If so, please don't. I would appreciate a mention on your blog and a link to the carnival. If you interested, you could host a future carnival. If you want to, send me an email. The Carnival is now on at the Space Cynics as well. Great idea Henry! OK, Henry, just a link it is. As for hosting... I have hosted several carnivals in the past, and it is one HELL of a lot of work - on average, it has taken me 20 to 30 hours to put one together. YMMV, particularly when you limit it to by-submission-only and one-per-customer. Even so, if every one of the 178 blogs on the Space Blogroll submits something, even if it only takes 5 minutes per submission you're looking at almost 15 hours to put the carnival together. That's why I created Space Feeds in the first place. Great idea! Although I may not be able to host or submit articles through an "official" process, you are hereby given permission to use any articles from the Al Fin blogs for the Carnival of Space. Thanks also for pointing me to Space Feeds. I will put a link to SF in my Outer Space links section. Likewise, I will place a link to "Why Homeschool" in my Education links section. Please notify me by email of any new editions of COS you put up, so that I can provide a link.